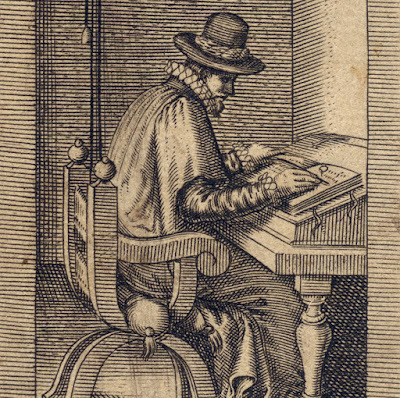 “Scriba doctus in regno caelorum”, 16th century? 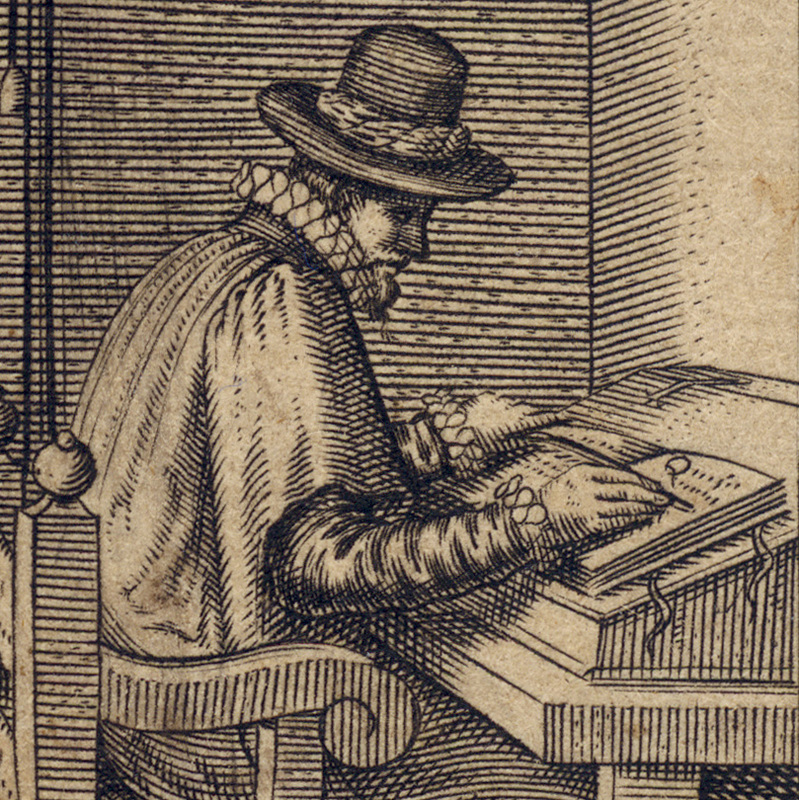 Engraving on early laid paper trimmed to the image borderline. Condition: crisp impression, trimmed at the image borderline with a small restored loss at the lower right corner and age toning to the sheet. 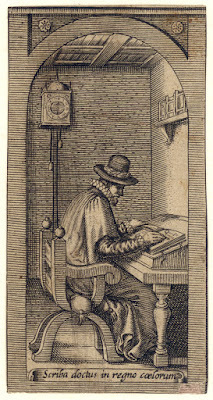 I am selling this small engraving by an unidentified printmaker (see the British Museum’s description of this print, museum no. 1958,1006.2902) illustrating verse 13:52 from the Gospel of St Matthew concerning the value of scribes in disseminating knowledge, for the total cost of AU$88 (currently US$70.16/EUR58.69/GBP51.99 at the time of this listing) including postage and handling to anywhere in the world. 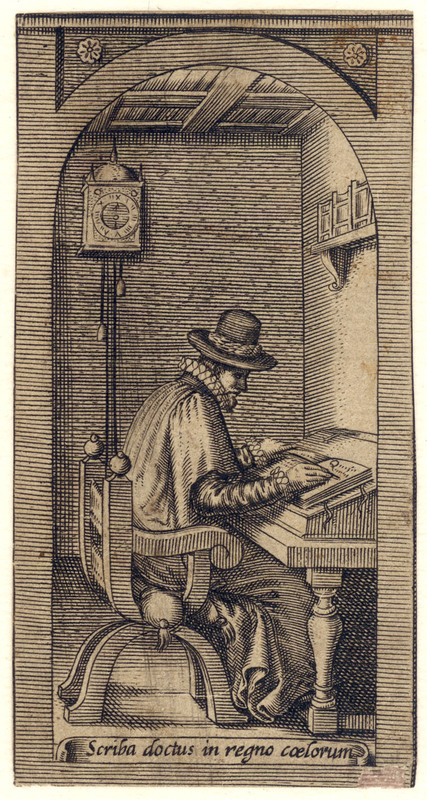 If you are interested in purchasing this marvellous image of an early scribe with the clear symbolism of time in the form of a clock hanging above him on the wall, please contact me (oz_jim@printsandprinciples.com) and I will send you a PayPal invoice to make the payment easy. 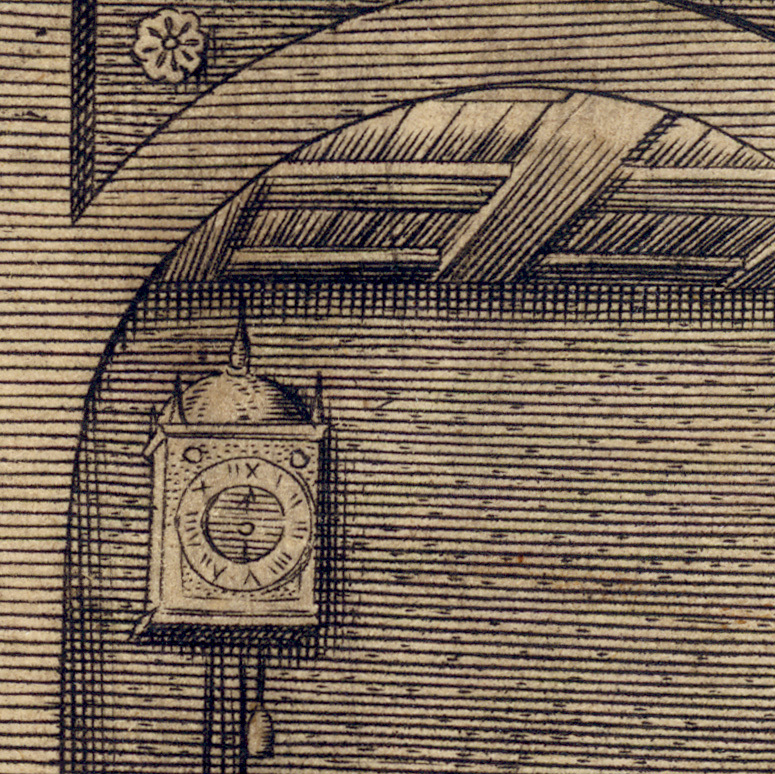 In terms of what sways me to propose the sixteenth century as a rough guide to the date of this print, my justification is all the style employed in rendering the image. 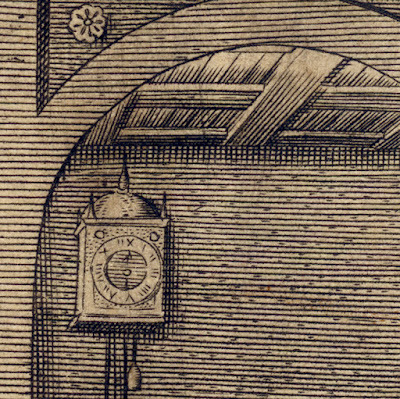 For instance, the formatting of the composition seems credible for the 16th century in the sense that the scribe is set within the symmetry of an arched niche with decorative rosettes above the arch and the frame of the arch is rendered with the mechanical precision of horizontal parallel lines. 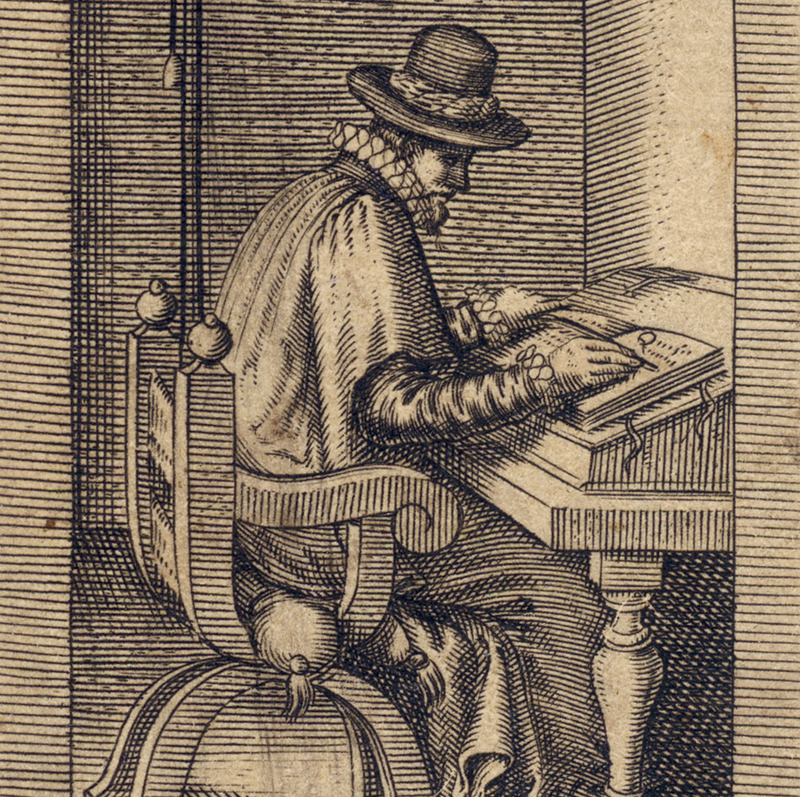 Moreover, the stylistic conventions employed in the rendering of the illustration seems appropriate for the 16th century as exemplified by the use of dots within the parallel lines inscribed in the background, the elevated viewpoint and the flattening of pictorial space created by the “quick” gradation towards a darkened background. If I were very knowledgeable about men’s fashion—which sadly I am not—I would speak with great precision about the distinctive attributes of the costume worn by the scribe. 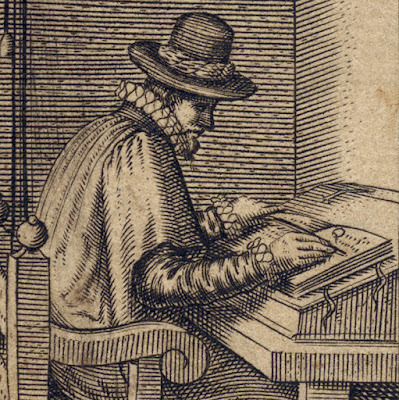 As my knowledge about such details is flimsy to say the least, I can only propose that the scribe “appears” be wearing an Elizabethan period outfit with the typical ruff around his neck and copotain-style hat with rounded brim and tall rounded crown.